Gym Intimidation and How To Overcome It! The other day, I was talking to an absolute newbie (had never set foot into a gym) and he told me that he was afraid to go to the gym by himself since he felt insecure and judged. Instead, he would prefer to train with me, preferably at off hours when the gym is empty. Now, from a business perspective this is a total win but it got me thinking. 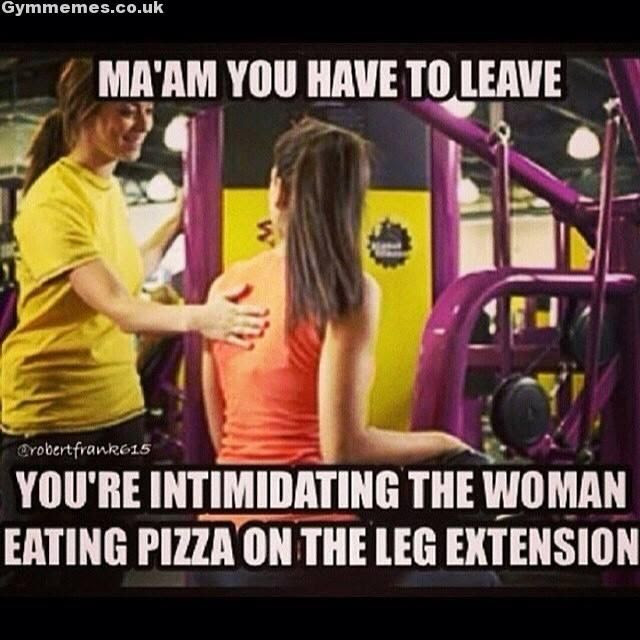 It is true that some gym goers can be rude and I myself may have been a gym bully at times. So, if you are complete new to this, it can be intimidating since everyone seems bigger and more knowledgeable than you. 1. The transition is easier if you go with a knowledgeable friend or trainer, or at least have a workout plan, preferably with video links of the exercises. My YouTube site has hundreds of exercises (just saying…). 2. Having been in gyms since the late 80s (yes, I am that old) I can assure you that 90% of gym rats have no clue what they are doing, so breathe easily. 3. Nobody will notice you because we are all too busy instagraming every set. My point is we all start somewhere. In my experience, people who are really good at their craft tend to be helpful. Those that are a little bit good tend to have a huge ego. Igore them and focus on those that can actually help you! Previous post: Circuits- Greatest Training Tool Ever? Next post: Load vs tension – which one matters for muscle growth?